Here are the basics. Tenant is continually late on her rent. Every time the landlord starts to take her to court she pays just before the court date. This time she was late and she claims someone broke in and stole her late rent money and her daughters ashes. Who would do something like stealing someones ashes. Very evil thing to do. Landlord continues with eviction. Tenant is evicted. Richmond Channel 12 reporter seems to wonder how it could be legal for a landlord to evict a tenant who claims to have their money stolen. Richmond legal aid lawyer says "What I think this case indicates is two things," said attorney, Marty Wegbreit. 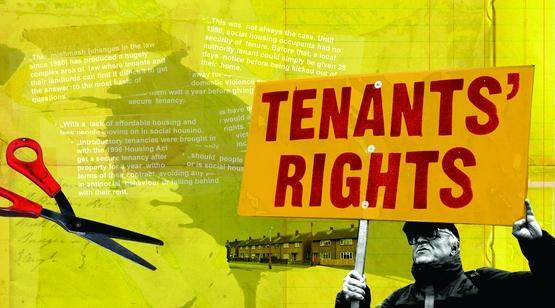 "One I think it indicates how unjust Virginia Landlord Tenant Law really is and second I think it shows the lack of mercy that many landlords show to their tenants." Both this particular news channel and Richmond's legal aid lawyer seem to think that if a tenant gets their rent money stolen, the evil rich landlord should not worry about it and get their property foreclosed on because they didn't have the money to pay the bank. It blows my mind that so many people out there think that all landlords are rich and they own their property. The reality is that most are heavily in debt and if they don't get rent it is difficult to pay the mortgage. And I can assure you that the bank will have no pity for what your tenant couldn't pay. That excuse with the bank simply isn't going to fly so don't bother trying it. So what do you think? Should we keep these same deadbeats in office or run them all out, democrat and republican? UPDATE: I CONTACTED Robert Akerson Jr.AND HE LOST THE CASE. The tiny, bloodsucking bugs have started infesting the Roanoke area, and property owners are paying a hefty price for their removal. Move over, stinkbugs. There's a new bug in town, and this one bites. Blood-thirsty bedbugs have arrived in the Roanoke Valley, embarrassing panicked home and business owners who are spending thousands of dollars to eradicate the critters. "It's happening more and more," said Jerry McLawhorn, president of Superior Exterminating in Roanoke. 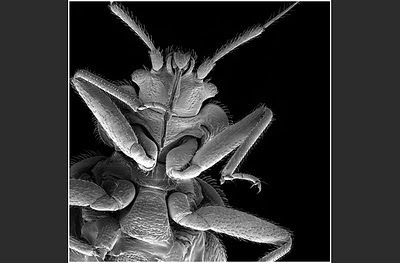 At least three hotels in the Roanoke Valley have harbored bedbugs this year, according to the Virginia Department of Health. One Roanoke tenant sued her landlord because of an infestation. 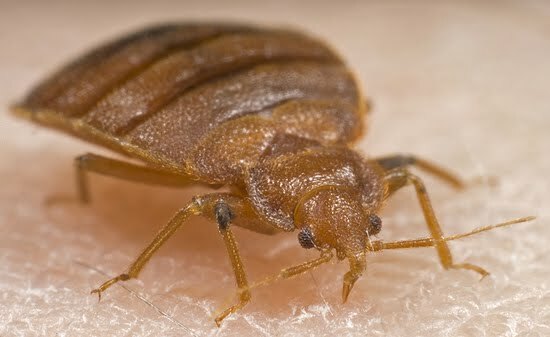 Bedbugs have been in the news for months as they've covered the East Coast, moving into federal buildings in Washington, department stores in New York, even the Lincoln Center performance hall. Paranoia has spread to the Internet, where travelers report infested hotels on bedbug registries. Now they're spreading en masse in Roanoke, after apparently hiding in small numbers for the past few years, according to the state health department and local exterminators. They most likely arrived in travelers' luggage. 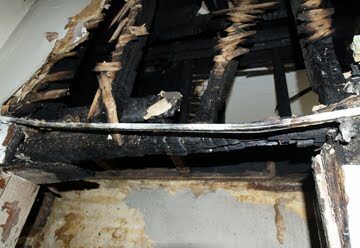 "The way these things are spread, it's not like a spider coming out of the woods and into the house," McLawhorn said. "These are blood-eaters. They live with people." Bedbugs first showed up in Roanoke apartment buildings and hotels, McLawhorn said. Now, they're in homes, in the city and in the suburbs. Superior Exterminating sprayed at least 150 homes in the past year, McLawhorn said. The bugs hide behind bed headboards, in carpeting, and in the seams of bedding, mattresses and upholstered furniture. They can travel quickly from room to room, nimbly hop rides on people's clothing and shoes, and can cruise beneath baseboards or through electrical outlets like motorists on Interstate 81. Many bugged homeowners make their first move to hardware stores. The Northwest True Value Hardware store on Brambleton Avenue on Friday was sold out of bedbug-killing aerosol spray, which costs $8.29 for a 16-ounce can, a manager said. The Home Depot on Hershberger Road in Roanoke has been selling bedbug pesticides so briskly that workers have been restocking weekly, manager Susan King said. "People are just buying it left and right," King said. Tim Nininger, vice president of Bug Man Exterminating in Roanoke, said his company has been getting several calls a week for bedbugs, mostly from homeowners so ashamed that they put off calling a professional until the infestation is out of control. "They tell us they were hoping it wasn't bedbugs because it's embarrassing," Nininger said. "It's nothing to be embarrassed about." Once Bug Man gets involved, the price of bedbug riddance climbs to $1,500, which includes three treatments. Exterminators must repeat the treatments to wipe out new generations. Bug Man exterminator Chip Nininger, Tim Nininger's brother, attacked bedbugs at an infested Roanoke County house last week with fellow exterminator Curtis Morgan. Morgan unscrewed electrical outlet plates and sprayed pesticide inside. Nininger, wielding aerosol cans of a pesticide called Bedlam, coated pillows, cushions and every inch of upholstery in the house. The homeowner, who didn't want to be named, said he found bedbugs crawling behind a headboard. He said he spent $1,000 on dry cleaning, pesticides, new carpet and new bedding, trying to get rid of the bugs himself. After five weeks of skin-crawling, sleepless nights, he called Bug Man. "We've given up," the man said. The Virginia Department of Health said investigators confirmed at least three Roanoke Valley hotels have had the bugs this year. Health officials found bedbugs at the Days Inn in the 500 block of Orange Avenue Northeast in May. A month later, they found them at the Embassy Inn in the 4500 block of Melrose Avenue Northwest. Last month, the Comfort Suites Inn at Ridgewood Farm in the 2800 block of Keagy Road in Salem was found to have an infested room. The health department ordered the infested rooms, and rooms adjacent to them, closed until they were treated. The rooms were allowed to reopen once a health inspector pronounced them bug-free. Managers at the Days Inn and Embassy Inn said a pest control company has been checking rooms monthly since the problems. The Comfort Suites Inn manager did not return a message. Bedbugs were also the focus of a July lawsuit in Roanoke General District Court that Monica Ransome filed against her landlord for $4,767, saying her Northwest Roanoke home was infested. The landlord "declined to pay for or deal with the infestation," the suit says. Ransome said she paid more than $1,000 for an exterminator to spray the Lafayette Boulevard house. 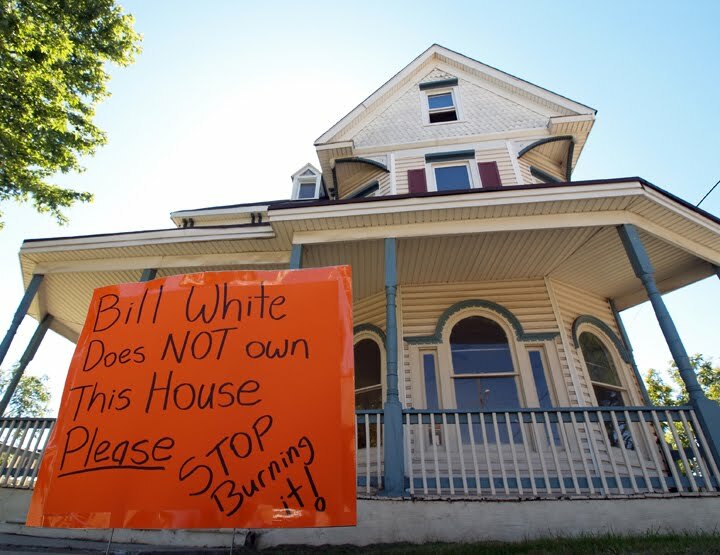 The extermination was unsuccessful, and a city inspector condemned the house in April. Ransome sought two months rent, the security deposit, the exterminator's bill and the value of her furniture, which she threw out. Neither property owner Robert Akerson Jr. nor his attorney returned phone messages. Ransome's attorney, Henry Woodward, said Ransome didn't want to be interviewed until a judgment is filed. A bill got passed in the late 1990's that requires landlords to pay for tenants unpaid water bills. Over the years many changes have been made in an apparent attempt to tame rogue Water Authorities. 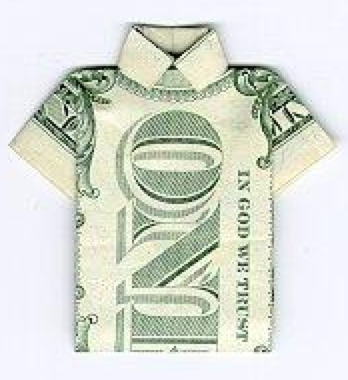 No change has been accepted that removes the responsibility of a landlord for their tenants unpaid bills. Billing a third party for a product or service that they had no beneficial use of is not only unconstitutional but is illegal in all forms of law. There are a number of states that fought legislation like this and won deeming it unconstitutional. 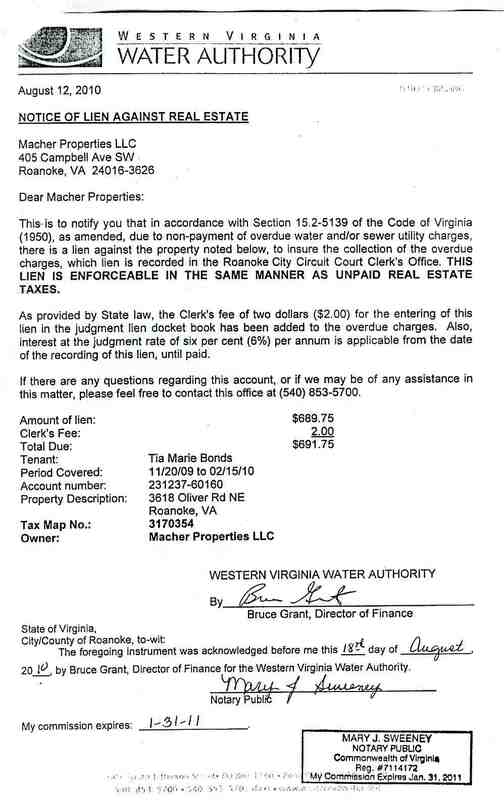 A number of REI members started getting liens placed on their properties for tenants unpaid bills starting in 2009 so we put together a water committee to work on getting things changed. We talked with many local Virginia senators and delegates for the state legislature and everyone we talked with was surprised that this unconstitutional law could even have gotten through. They are also willing to help us repeal it... with exception of Onzlee Ware. 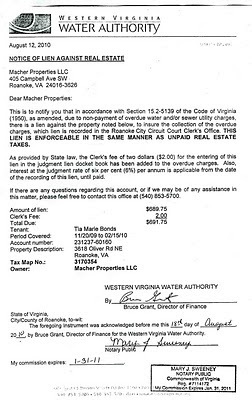 Delegate Matthew Lohr and Senator Ralph Smith in the 2010 Session tried to help repeal all language that states the 3rd party landlord would have to pay the tenants unpaid bills. The bill they were introducing was sent to the Committee of Counties, Cities and Towns and they "stalled" the bill or in other words shot it down not allowing it to be voted on. They later in the 2010 session supported a bill by delegate Glenn Oder that still required the property owner to pay the tenants bills. I contacted Onzlee many times and his receptionist blocked me on every contact saying that Onzlee was concerned about the issue at hand and was looking into it and he will give me a call once he gathers some information. She obviously didn't think that I would end up finding out that Onzlee is the reason it got passed. We also talked with the water authority in an attempt to get them to back down on their attacks against landlords while we get things changed. They said they would make a number of concessions but if we attempted to get the legislation changed they would require no water can be turned on in any house without it being in the name of the homeowner. Quite a stretch in my opinion and I think they would have an extremely difficult battle in doing so that would end up in failure. "The Authority will set up an email account for property owners to register their properties with the Authority's billing division. In addition to physical addresses for each property, the registration information shall include contact information (name, address, telephone number, and email address) for a representative of the property owner so Authority staff can verify lease information. The Authority will require customers requesting service at these locations to provide the Authority with a copy of their lease. The Authority will copy the property owner on delinquent statements for customers at these locations. The Authority will set up direct telephone access to a staff member should property owners wish to verify the status of a particular account. The Authority will investigate use of credit reporting for customers that default on their accounts. Both parties agree to look for ways to get property owners with ongoing leak problems to make necessary plumbing repairs. Although not discussed in the meeting, the Authority will review its lien program to see if it can be modified to focus more on problem locations. Please do not hesitate to contact me if you have any questions." I registered with them thinking that Mike was a man of his word and found that they reneged on their original agreement. They said on one property I own, there has never been a delinquent payment so they will not inform me of their being one until the 3rd issue. Personally, I would like to know right away so I can contact my tenant and nip it in the bud but the Water Authority refused to let me know. I also sent them a copy of my lease that the tenant signs to that allows me to check their utility bills from time to time to ensure they are being paid. They didn't care about my signed approval to check their utilities and still refused to let me know. Another one of my properties that I just bought they told me that I will be notified because the house already has 3 delinquent payments on it. The funny thing about that is that I just bought it and my tenant has never been late. They decided to judge it based on the house and the previous landlords who have owned it. Now this rogue Water Authority has really taken it to the extreme. A few years ago (2004) they were given the label of being a quasi governmental agency when they became an "Authority". What that basically means is that they are a private business with government powers. Similar to the Federal Reserve. And they are taking advantage of their title in a big way. In addition they have not honored their agreement to focus on problem locations as they continue to give our members liens. 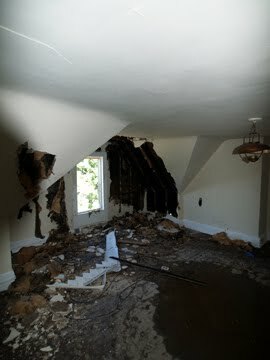 They previously defined problem locations as being locations where a landlord knows of a leak in the house but refuses to repair it and continues to rent it out. 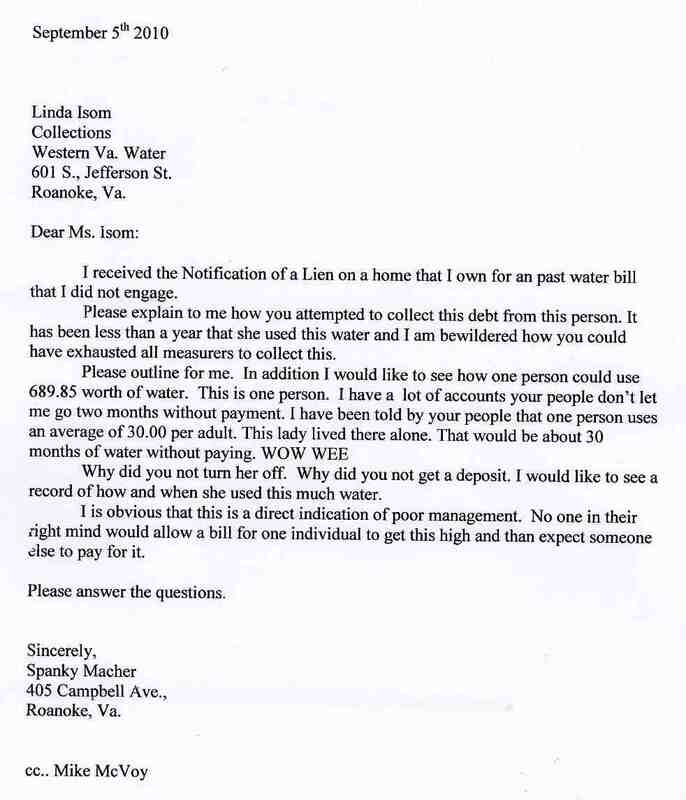 The tenants get a huge water bill the first month they are there and move out without paying it and the landlord turns around and rents it again without fixing the problem. This is one of the most ridiculous things I have heard. Why would a landlord not make a couple hundred dollar repair and continue having to re-rent a house over and over every year. Sounds far fetched to me but they said it exists. Due to their lack of honoring our agreement we have no other option than to continue with legislative changes and or to sue them. Right now it's time to stop talking and start doing.